Already an internet phenomenon, these wise and insightful lessons by popular newspaper columnist and Pulitzer Prize finalist Regina Brett will make you see the possibilities in your life in a whole new way. 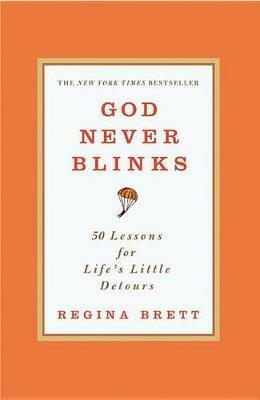 When Regina Brett turned 50, she wrote a column on the 50 lessons life had taught her. She reflected on all she had learned through becoming a single parent, looking for love in all the wrong places, working on her relationship with God, battling cancer and making peace with a difficult childhood. It became one of the most popular columns ever published in the newspaper, and since then the 50 lessons have been emailed to hundreds of thousands of people. 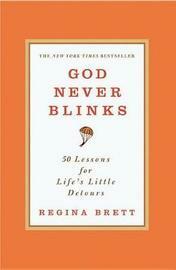 Brett now takes the 50 lessons and expounds on them in essays that are deeply personal. From "Don't take yourself too seriously-Nobody else does" to "Life isn't tied with a bow, but it's still a gift," these lessons will strike a chord with anyone who has ever gone through tough times--and haven't we all? Regina Brett has been a newspaper columnist for fourteen years, eight of them for Cleveland's Plain Dealer, where she was a finalist in 2008 and 2009 for the Pulitzer Prize in Commentary. She also hosts a call-in talk show once a week on WCPN, the Cleveland NPR affiliate, and speaks regularly to companies and not-for-profit organizations.